This substantial, deeply hammer textured sterling silver ring is perfect for stacking. 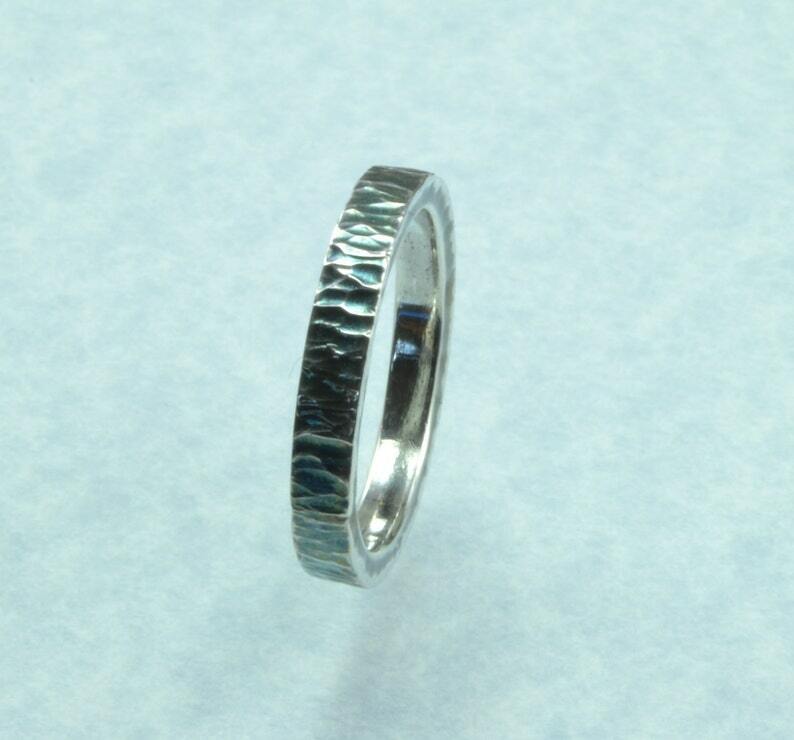 The ring has a blue/gray patina and is highly polished on the inside. Size 7-1/2.